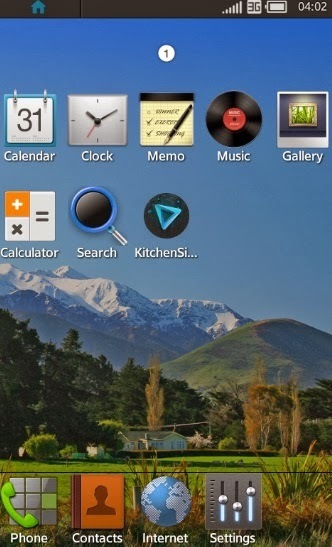 Samsung's Next Operating System - Tizen - Android App News. Samsung has a long history of attempts to work with several operating systems, producing smartphones that work with Android, Symbian, Bada, Windows Phone 7 and Windows Phone 8. For us, the consumers, this is both good and bad. It's good because a monopoly is almost never a good thing and it's bad because most apps are made for iOS and Android. Now, Samsung is moving ahead with Tizen, a new operating system it plans to introduce in some of its smartphones during 2014. Several screen shots of this new operating system has leaked out and we can get a few impressions of this new operating system. 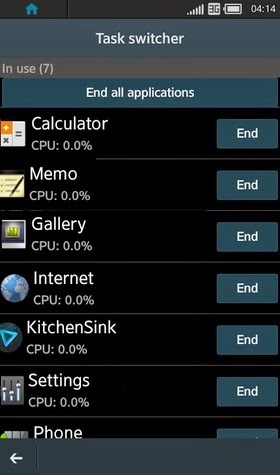 As we can see, there aren't really many marked differences between Tizen's UI and Android. The point is, however, that Samsung wants to free itself from being dependent on one supplier of operating systems, i.e. Google. Like we said earlier, breaking monopolies is good but the question remains, how will Samsung build a strong app store? Samsung already has its own app store for Android and it remains to be seen how will it create a strong app store for Tizen. It may be that Samsung will offer incentives for developers to port or develop for the Tizen and it may be that the first developers to offer really good apps will make a good profit. It could also mean cheaper smartphones if Samsung won't have to pay Google for its Android operating system. It remains to be seen whether Samsung, because of its size, will be able to pull this off.